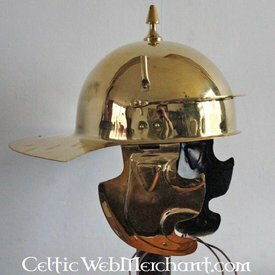 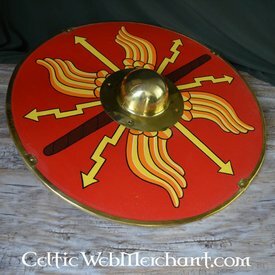 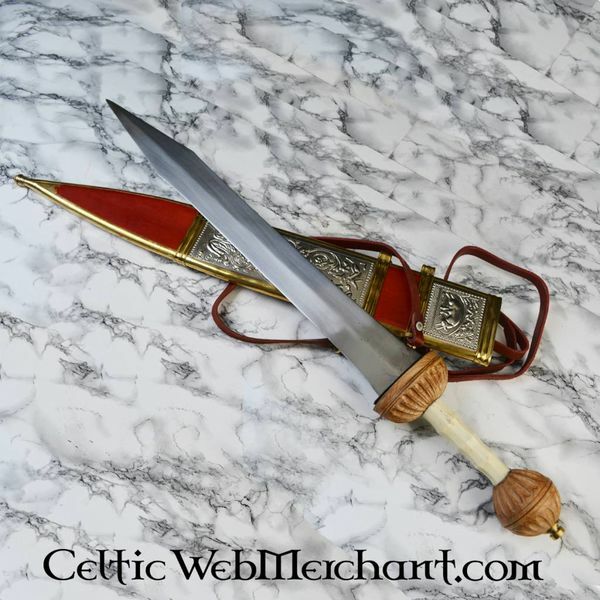 This gladius is a replica of an original excavated in Fulham, England. 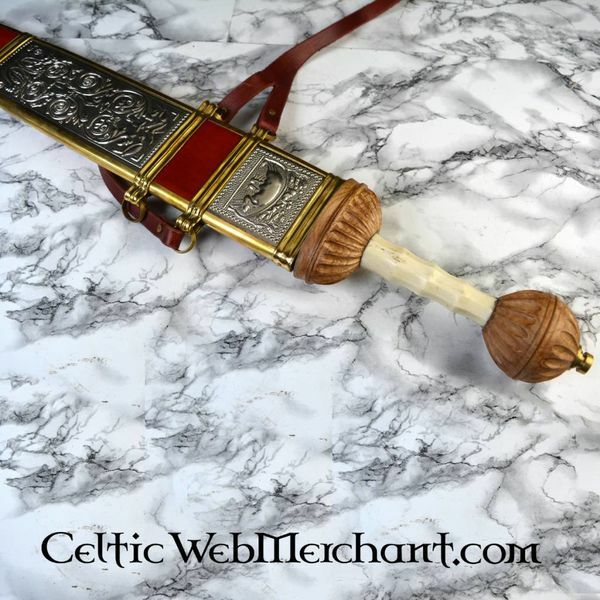 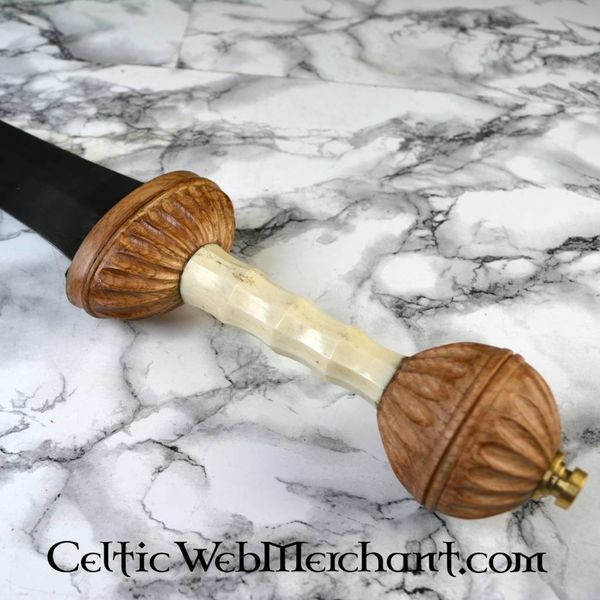 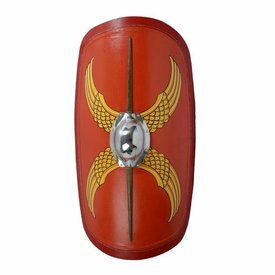 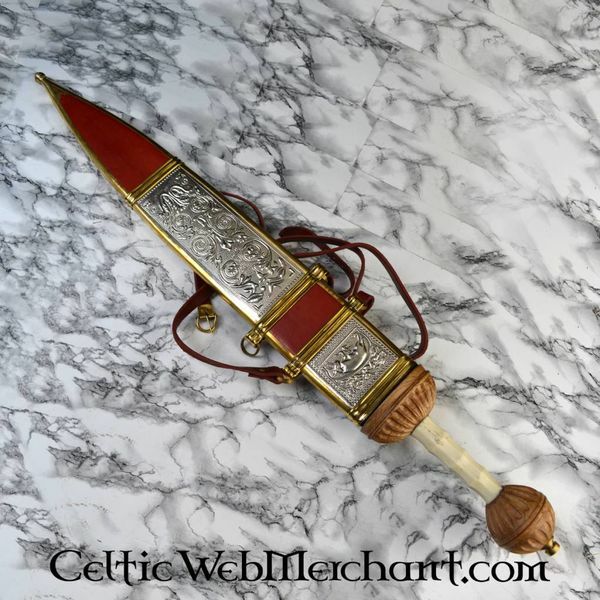 This luxurious gladius is made in the Mainz style and has a decorated grip made of bone and wood. 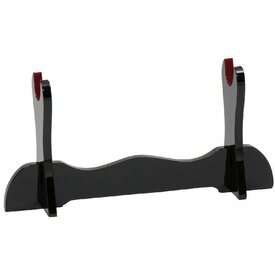 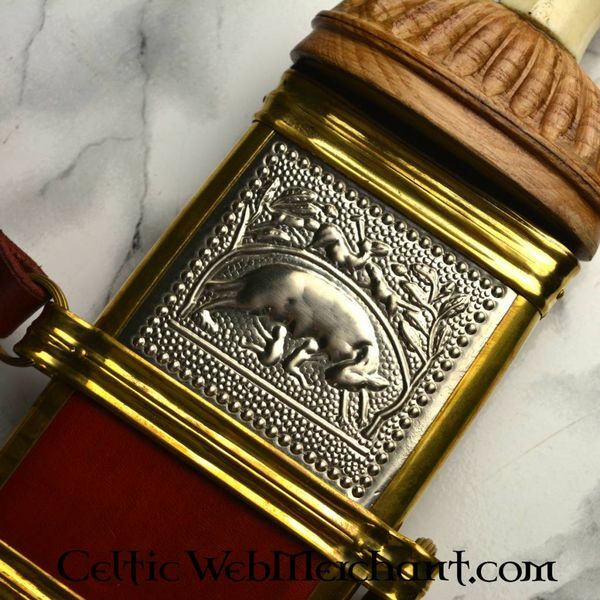 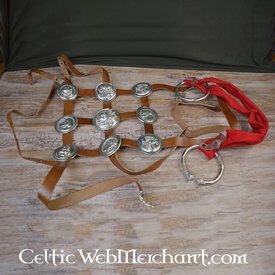 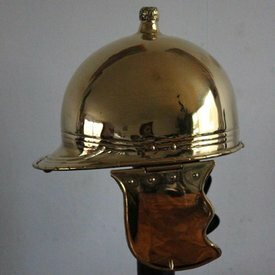 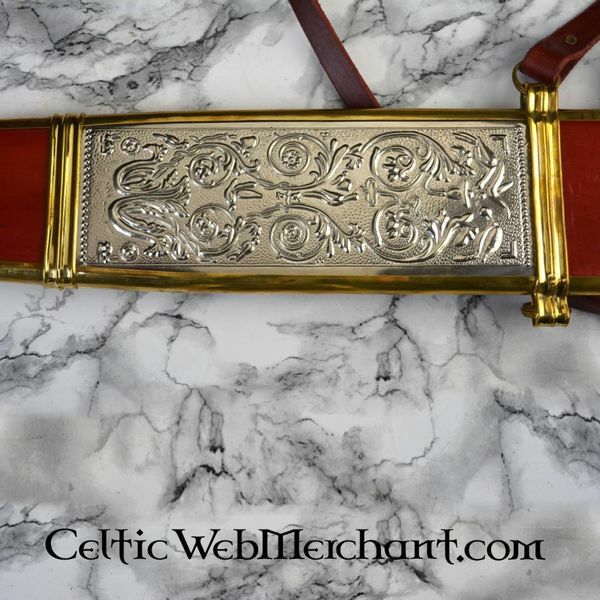 The scabbards is made of wood covered with leather and decorated with (silvered) brass fitting. 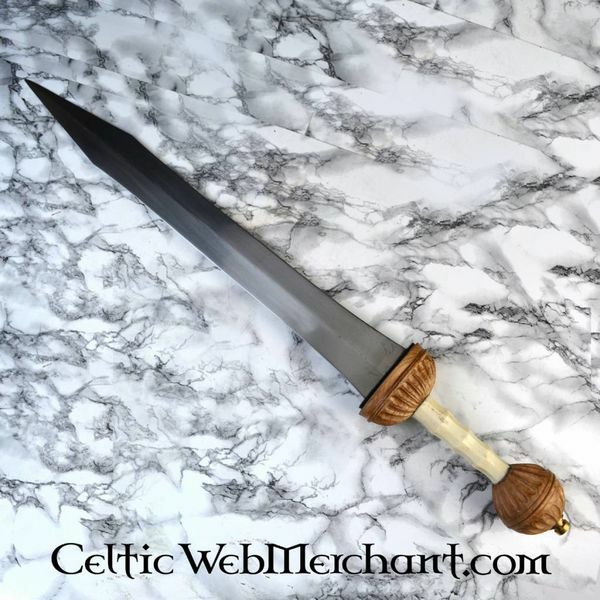 This gladius has a semi-sharp blade made of EN45 spring steel.